The Environmental Protection Agency has said that indoor air quality is one of our top health threats. Hardwood floors help contribute to a healthy living environment. Hardwood does not trap or harbor dust, dust mites, or molds like most floor coverings, which means better air quality for inhabitants. Hardwood is especially good for people with allergies. A recent EPA study also found that pesticides used in gardens and homes accumulate on floors and other surfaces in the home and that hardwood floors greatly reduce the accumulation of such toxins. Hardwood floors last beyond a lifetime and are one of the most desirable floor coverings in remodeling and new construction. They are a great way to increase the resale value of your home. Considering the durability of hardwood flooring versus other floor coverings you are saving money when you chose hardwood, and when it comes time to sell, you will make more money too. 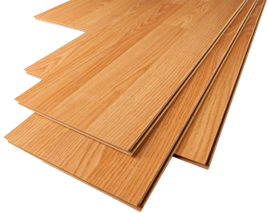 Unlike most floor coverings, hardwood floors come from a natural resource that is sustainable. Today most timber is cut from forests that are carefully managed to ensure continued resources in the future. 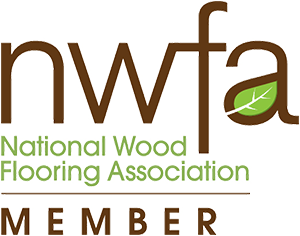 In fact, according to U.S. Forest Service statistics, almost twice as much hardwood timber is added every year through new growth as is harvested. 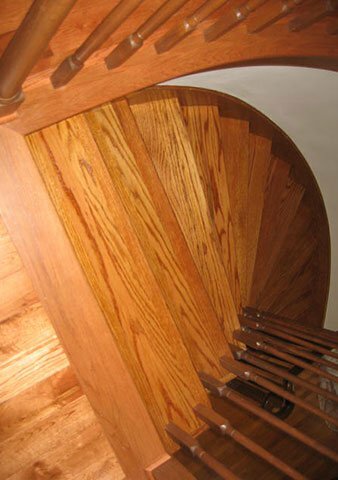 There is more standing hardwood timber today than there was 50 years ago. Routine maintenance consists of sweeping, vacuuming, and an occasional cleaning done with a damp sponge or sponge type mop using an environmentally friendly mixture of vinegar and water. Simple protection items like area rugs and floor protectors (on ALL furniture in areas with hardwood flooring) help keep your finish free from scratches. With the multitudes of stains and finishes and the numerous sizes and species of hardwood, the choices are endless. 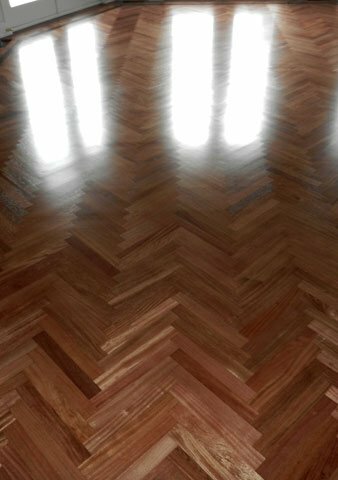 There are also various ways to personalize the look of your hardwood flooring including herringbone, feature strip, borders, inlays, and medallions. These choices can complement the individual style of any home or office. We provide FREE estimates! To set up an appointment, please give us a call or send us a message with our contact form on our contact page. Don't wait, make your home complete with beautiful hardwood floors now!